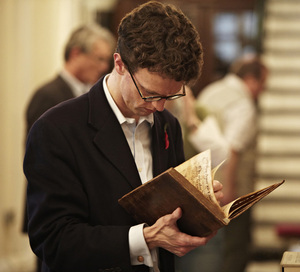 Our series profiling the next generation of antiquarian booksellers continues today with Simon Beattie of Chesham, England. NP: How did you get started in rare books? SB: Although I had always wanted to do something with books, I became an antiquarian bookseller quite by accident. I read German and Russian at Exeter University, graduating in 1997, after which I decided to stay on for another year and study for an MA in Lexicography. As part of my course, I had a placement at Oxford University Press working on The Oxford Russian Dictionary, but come the summer of 1998, as there were no jobs going at OUP, I began to look for something else. I didn’t look far. There was a tiny advertisement in The Times: ‘leading antiquarian bookseller seeks good graduate to help catalogue books’. I didn’t know what cataloguing meant, but I called the otherwise anonymous phone number (e-mail was still in its infancy) and got the address for my résumé: Bernard Quaritch Ltd, 5-8 Lower John Street, Golden Square, London. I had an interview with Lord Parmoor, the then owner, and started work about a week later, all this being only about two weeks after leaving Exeter. NP: When did you open Simon Beattie? And what do you specialize in? SB: At the beginning of 2010, and so far, so good. I tell people European cultural history, which is a suitably broad category, but I suppose my real interest is cross-cultural material: translations of English and American literature, say, or things relating to musical performances abroad, anything which documents the spread of one culture into another. What I really like to find is an original foreign literary work with links to the Anglophone world, or musical responses to events. So I’ve had things like contemporary German poetry written following the execution of Charles I in 1649; a Russian song composed after the defeat of Napoleon in 1812; a German novel set among the Iroquois from 1799. I don’t like to be bound by date, and am equally interested in the twentieth century as the sixteenth. My goal is always to try to offer material which is interesting, perhaps curious, and hopefully something you’ve never seen before. NP: Favorite or most interesting book you’ve handled? SB: I suppose it’s got to be the most popular book from my first catalogue (I had seven orders): the cover told you it was a little pocket French-German dictionary, but open it up and you found it to be a saboteur’s manual, produced by the French Resistance c.1943. It was a fascinating document, and a great object. What was even more amazing was that I then found three more copies of the book, textually identical but all with different covers, which showed just how sophisticated the Resistance’s book production was in wartime France. You can read about the book on my blog. NP: What do you love about the book trade? SB: I’ve always enjoyed the process of matching books to people, helping to improve collections, both private and institutional, and I’d like to think that people are always pleased with the books they buy from me. The book trade itself is very international, which I like; traveling round Europe in search of books, visiting customers in America, it’s all very enjoyable. NP: You are known for your innovative catalogue design. What are your thoughts on catalogues in general and what is your design process? SB: Right from the start I wanted to do printed catalogues. I could have just sold books by e-mail, sending out PDF lists of what I have, but book collectors like a book, a physical object that they can carry around, read on the bus, write comments on, or mark by turning over the corner of a page. Because it is so easy now (and, of course, much cheaper) to create one’s own catalogues, in Word or whatever with a few scans dropped in, that is what many booksellers do, but the final product often looks homemade, with widows and orphans left dangling all over the place. As booksellers we really ought to know better, about what constitutes good book design. Producing a catalogue which jars the eye really doesn’t reflect well on what a bookseller knows about books. For my catalogues, I wanted to do something different, a fresh approach. Booksellers’ catalogues haven’t really changed very much in the last 100 years. But book design has. Just look at some of the wonderful things produced for library exhibitions. It’s true, my catalogues take a little more time to produce, but I’ve had an overwhelmingly positive response to what I’m doing, from collectors, librarians and fellow booksellers (and six design awards to date, from both sides of the Atlantic). They’re commercially successful, too: each of my four catalogues so far has sold over 90%. NP: On that note, your minimalist approach to book fair booth exhibition was praised at the California Book Fair. Any particular philosophy on booth design? SB: Book fairs are a great leveler. Everyone is given the same things to work with (cases, book shelves etc.). How, in a fair of 200 booths, do you try and stand out? I have a small stock, so I only brought 35 books. Exhibiting fewer books leads, I think, to a cleaner stand; it lets you display the books properly, and gives them all a chance to be seen by potential buyers. I suppose I really saw the fair as a public relations exercise, somewhere to meet new customers, show them the kind of thing I get in, and catch up with existing ones. You can’t measure the success or otherwise of a fair by how many books you sell. A good fair is really about people, not books. NP: What do you personally collect? SB: Books about Exeter Cathedral, as I sang in the Cathedral Choir there. Fortunately, there are a finite number of books about it! NP: Thoughts on the future of the book trade? SB: I think the trade looks pretty healthy. Every year sees new booksellers setting up on their own and, as this series has already pointed out, young booksellers starting out with established members of the trade. There will always be doom-mongers bemoaning the lack of buyers, but I think that, if you have the right material, you can sell it. NP: Do you have a new catalogue in the works? 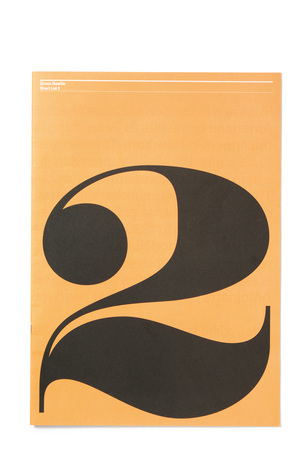 SB: The next printed catalogue, which I’m working on at the moment, will be out later in the year. If anyone would like to receive it, just let me know! My next fair will probably be California in February. You can follow what I’m up to before then on both Facebook and Twitter, or subscribe to my blog. SB: Although I had always wanted to do something with books, I became an antiquarian bookseller quite by accident. I read German and Russian at Exeter University, graduating in 1997, after which I decided to stay on for another year and study for an MA in Lexicography. As part of my course, I had a placement at Oxford University Press working on The Oxford Russian Dictionary, but come the summer of 1998, as there were no jobs going at OUP, I began to look for something else. I didn't look far. There was a tiny advertisement in The Times: 'leading antiquarian bookseller seeks good graduate to help catalogue books'. I didn't know what cataloguing meant, but I called the otherwise anonymous phone number (e-mail was still in its infancy) and got the address for my résumé: Bernard Quaritch Ltd, 5-8 Lower John Street, Golden Square, London. I had an interview with Lord Parmoor, the then owner, and started work about a week later, all this being only about two weeks after leaving Exeter. SB: At the beginning of 2010, and so far, so good. I tell people European cultural history, which is a suitably broad category, but I suppose my real interest is cross-cultural material: translations of English and American literature, say, or things relating to musical performances abroad, anything which documents the spread of one culture into another. What I really like to find is an original foreign literary work with links to the Anglophone world, or musical responses to events. So I've had things like contemporary German poetry written following the execution of Charles I in 1649; a Russian song composed after the defeat of Napoleon in 1812; a German novel set among the Iroquois from 1799. I don't like to be bound by date, and am equally interested in the twentieth century as the sixteenth. My goal is always to try to offer material which is interesting, perhaps curious, and hopefully something you've never seen before. NP: Favorite or most interesting book you've handled? SB: I suppose it's got to be the most popular book from my first catalogue (I had seven orders): the cover told you it was a little pocket French-German dictionary, but open it up and you found it to be a saboteur's manual, produced by the French Resistance c.1943. It was a fascinating document, and a great object. What was even more amazing was that I then found three more copies of the book, textually identical but all with different covers, which showed just how sophisticated the Resistance's book production was in wartime France. You can read about the book on my blog. SB: I've always enjoyed the process of matching books to people, helping to improve collections, both private and institutional, and I'd like to think that people are always pleased with the books they buy from me. The book trade itself is very international, which I like; traveling round Europe in search of books, visiting customers in America, it's all very enjoyable. SB: Right from the start I wanted to do printed catalogues. I could have just sold books by e-mail, sending out PDF lists of what I have, but book collectors like a book, a physical object that they can carry around, read on the bus, write comments on, or mark by turning over the corner of a page. Because it is so easy now (and, of course, much cheaper) to create one's own catalogues, in Word or whatever with a few scans dropped in, that is what many booksellers do, but the final product often looks homemade, with widows and orphans left dangling all over the place. As booksellers we really ought to know better, about what constitutes good book design. Producing a catalogue which jars the eye really doesn't reflect well on what a bookseller knows about books. For my catalogues, I wanted to do something different, a fresh approach. Booksellers' catalogues haven't really changed very much in the last 100 years. But book design has. 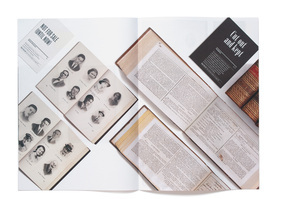 Just look at some of the wonderful things produced for library exhibitions. It's true, my catalogues take a little more time to produce, but I've had an overwhelmingly positive response to what I'm doing, from collectors, librarians and fellow booksellers (and six design awards to date, from both sides of the Atlantic). They're commercially successful, too: each of my four catalogues so far has sold over 90%. SB: Book fairs are a great leveler. Everyone is given the same things to work with (cases, book shelves etc.). How, in a fair of 200 booths, do you try and stand out? I have a small stock, so I only brought 35 books. Exhibiting fewer books leads, I think, to a cleaner stand; it lets you display the books properly, and gives them all a chance to be seen by potential buyers. I suppose I really saw the fair as a public relations exercise, somewhere to meet new customers, show them the kind of thing I get in, and catch up with existing ones. You can't measure the success or otherwise of a fair by how many books you sell. A good fair is really about people, not books. SB: The next printed catalogue, which I'm working on at the moment, will be out later in the year. If anyone would like to receive it, just let me know! My next fair will probably be California in February. You can follow what I'm up to before then on both Facebook and Twitter, or subscribe to my blog.